Samsung's latest Galaxy Note has arrived. The world's largest smartphone manufacturer unveiled on Thursday the Samsung Galaxy Note 9 -- an updated, but not exactly revolutionary, addition to its smartphone lineup. It also unveiled its first Galaxy-branded smartwatch and a smart speaker called Galaxy Home. 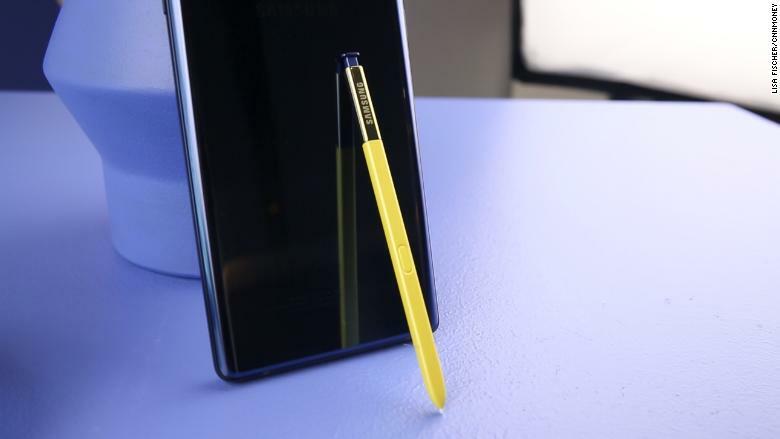 The Note 9, which hits stores on August 24 and is available for pre-order starting Friday, offers the same look and feel of other Note devices, but the screen is slightly bigger than its predecessor at 6.4 inches. 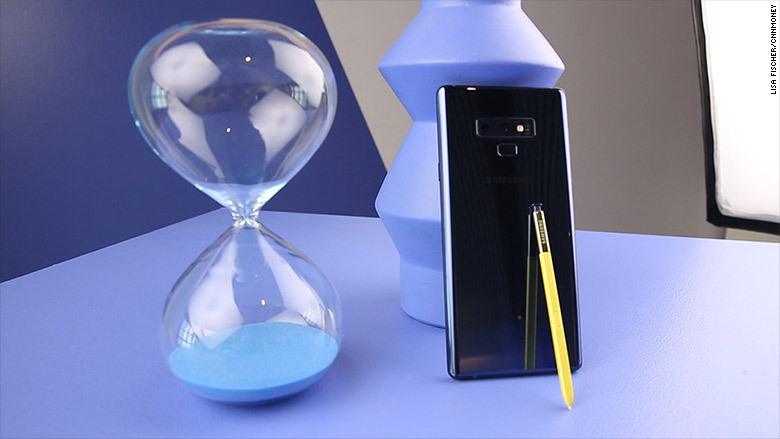 Like other Galaxy phones, the Note 9 is water resistant, and features an infinity display and wireless charging. And unlike the iPhone, it still has a headphone jack. But where the Note 9 stands out is its all-day battery life, a smarter camera and two fun new colors. Oh, and Galaxy owners will be the first Android users to get access to the immensely popular game Fortnite. Fanatics with a S7 phone and above can check out Fortnite Beta on Android beginning Thursday. The "intelligent camera" knows what you're photographing and automatically enhances the image's colors and focus. No photo editing necessary. The camera uses artificial intelligence to identify up to 20 types of scenes, including landscapes, food, flowers and people. Hover the camera over, say, a plate of fries, and a fork and spoon icon appears above the flash symbol, indicating it recognizes what's in the image. It then enhances saturation, white balance, brightness and contrast depending on the setting. Meanwhile, a flaw detection tool flags when people have their eyes closed, an image is blurry, the lens is smudged or there's a lighting issue. After the picture is taken, a notification identifies the problem, so you can snap it again. The Note 9 gets a big upgrade when it comes to battery life -- in fact, Samsung promises you'll be able to go all day before it's time to recharge. Longer battery often ranks high up on consumers' wish lists. However, you may remember Note 7 devices notoriously catching fire while charging back in 2016, and even some replacement phones overheating. The subsequent recall cost the company over $5 billion. Since the Note 8 device launched last year, the company introduced an eight-step battery safety check process and additional testing from a third-party safety company. No one reported any problems with the Note 8, and analysts don't foresee problems with the Note 9. The new phone gets an internal storage upgrade, too. Users can choose between 128GB or 512GB. The Note's signature S Pen, now in brighter colors like yellow and purple, packs a smarter punch than its predecessor. The stylus, which connects to the phone with Bluetooth, now acts as a remote control. It can interact with a phone from up to 30 feet away, and lets you pause music, snap a selfie or change slides on a PowerPoint presentation by pressing its button. You slide the S Pen into a slot on the device to charge it. Samsung claims you'll get 30 minutes of "standby" juice after charging it for one minute. 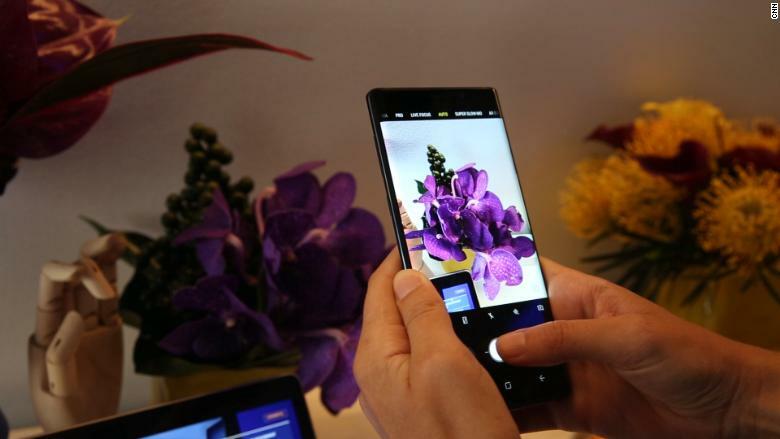 Samsung hopes to differentiate itself with a pop of color, too. The Note 7 will be available in only blue and purple in the United States. Outside the US, it'll come in black and copper. If you're not into those colors, you may want to cover up with a case. 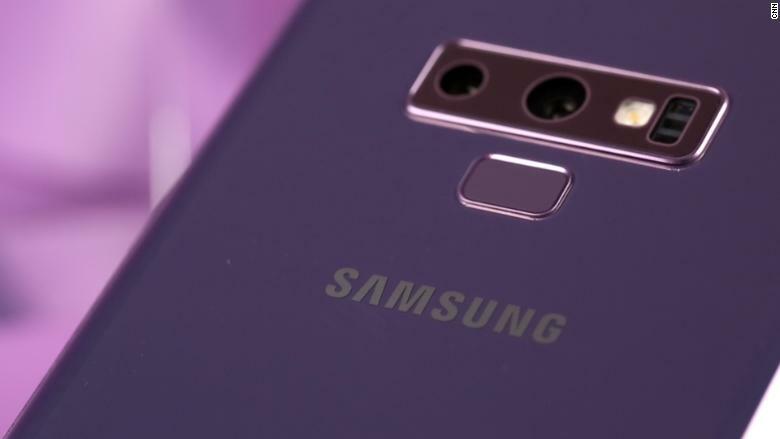 "[The Note 9] will stand out in a sea of black phones out there," said Suzanne De Silva, Samsung director of product strategy and marketing, ahead of the launch. The Samsung Galaxy Watch aims to be more "personal and useful" than others on the market. It features health and wellness tools, sleep tracking, standalone LTE connectivity for checking emails and calendars and up to four days of battery. For comparison, the Apple Watch Series 3 has one-day battery life. Consumer preferences are shifting from basic wearables, such as fitness trackers, to higher-priced devices with more functionality, such as smartwatches, according to market intelligence firm IDC. But this isn't the company's first shot at a smartwatch. Samsung has an existing line of Gear watches, which let you send texts, get emails and receive notifications. Samsung is making its first foray into the crowded smart speaker market, which already includes voice-activated options from Amazon, Google and Apple. Galaxy Home features Samsung's voice assistant Bixby. The speaker has a special "Sound Steer" tool that optimizes sound based on where you are in the room. Users can wake the device and request music by saying "Hey Bixby." Pricing and availability wasn't immediately released. The company said it would share more details soon. 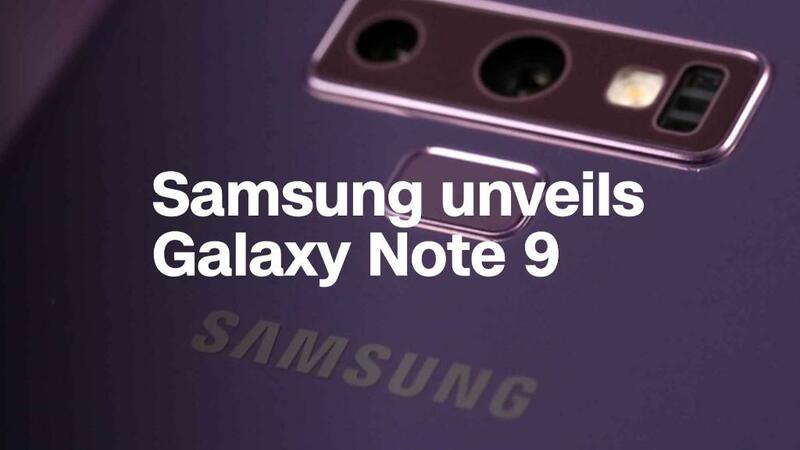 Although the Note 9 comes with several new features, it's far from a gamechanger, according to Werner Goertz, a research director at Gartner who covers personal devices. "It's a little bit underwhelming," he said. "The Note announcements have always been a more significant step in technology evolution compared with [this device]." But the Note fan base may be convinced to upgrade if they're in the market for a bigger screen, better battery life and new camera features. No filter needed.